Rabbit rabbit, it's the first of December! This means it's only 24 sleeps until the big guy comes to eat all your cookies and milk. So, you better be prepared. Don't worry-- I've got you covered. 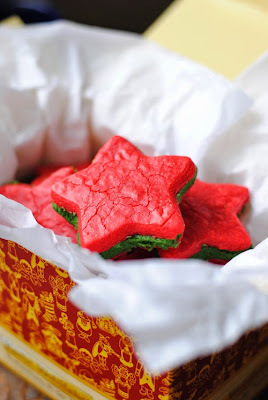 Here's Part One of some of my favourite Christmas and holiday baking recipes. Gluten free, fat free, but not flavour free -- whip up a batch of these peppermint meringue trees as a gift for those you love! You can't put these on your door, but you can put them on your plate. And into your mouth. 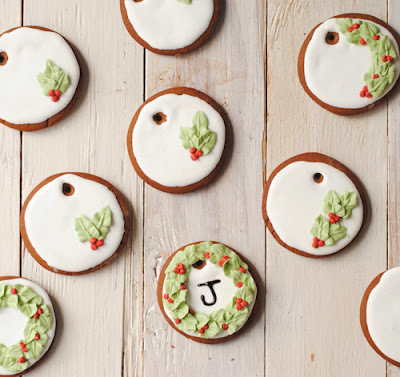 Crispy and chewy gingerbread cookies, AND a practical label for your presents. Does it get any better than this? No. Soft, sandwichy, and full of festive baking goodness. A great gift to your tummy. Haven't quite found what you're looking for? Stay tuned for round two, and sign up for my newsletter for new upcoming recipes!